Brand new townhouse with 5 double en-suite rooms available. Generously sized study bedrooms all with double beds. Bedrooms with private balconies with en-suite facilities. High quality furniture and fittings with ample storage and large study space. Telephone points and TV aerial connections to all study bedrooms. 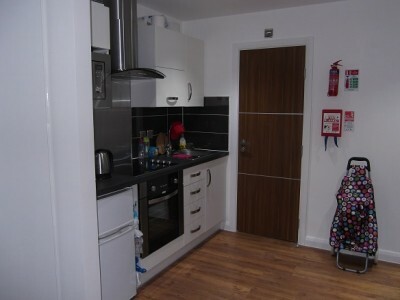 Beautifully fitted kitchens with built in cooker, fridge freezer, Washer/dryer, dishwasher and microwave. Large furnished living room/dining area for socialising. 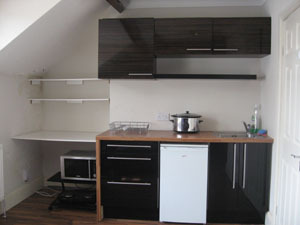 Ground Floor Fully furnished communal Lounge/Diner and Kitchen. First Floor 2 Double Rooms, each with an en-suite. Second Floor 2 Double Rooms, each with an en-suite. This is a popular award winning modern development, boasting a striking waterside location opposite the Walkers Stadium and within easy reach of the attractions of Leicester’s vibrant city centre and close to Leicester Royal Infirmary hospital. Designed to a high standard, these bright and spacious apartments feature contemporary decoration. The property comprises of secure entry access, entrance hallway, five bedrooms each with an en-suite bathroom with shower. Communal lounge / diner and an open plan kitchen with appliances. Double glazed and gas centrally heated. The property further benefit from its own communal gardens. There is also free Wireless Internet access. Motorway links close by. 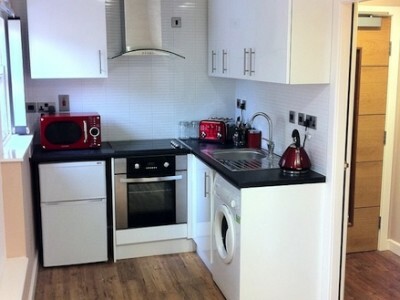 It is 5 minutes walk to Demontfort University.